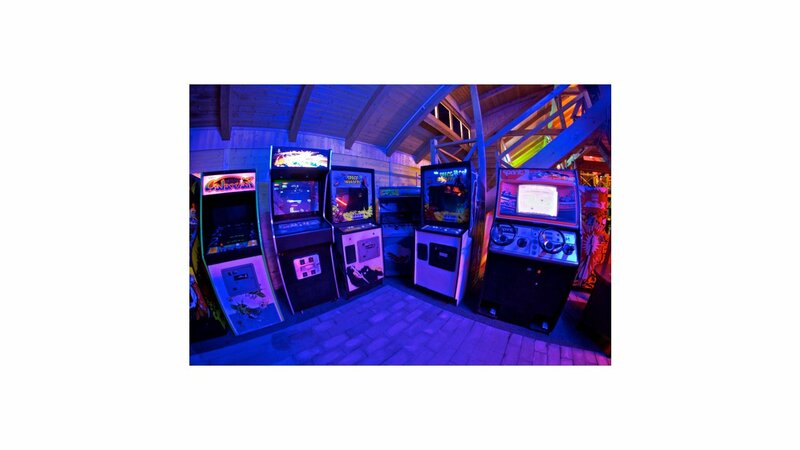 The arcade began as the childhood dream of Jan Orna, the owner of the arcade. As a young child, Jan envisioned building a video-game museum, where people could come and play games from the dawn of the digital era. Before the Velvet Revolution, there were almost no arcades in former Czechoslovakia. The few times that one could play arcade games were at fairs, in improvised vans that would house old-school video consoles. “That was my only connection with video games,” says Jan. Originally, Jan’s plan was to have a private collection, but he realized, “it wouldn’t work without a commercial form.” A decade later, Jan began to build towards his dream of having a museum for all the games of the past. 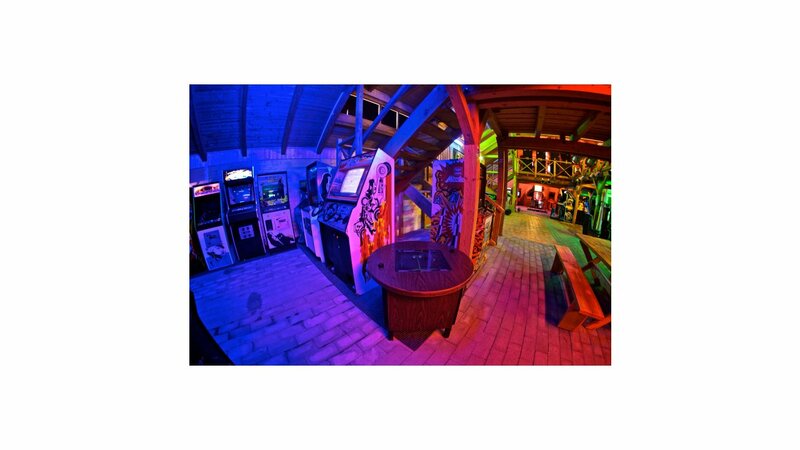 To achieve his vision, he began collecting arcade systems, until he had stockpiled about 30 in his basement. Then, in 2010, Jan tells me, “My father offered me an empty house in of Červený Újezd near the castle to host my museum—that was the day when the madness started.” Soon, he had amassed an arsenal of 60 video game machines from all over the world, from countries such as Germany, Poland, England, the US, and Japan. 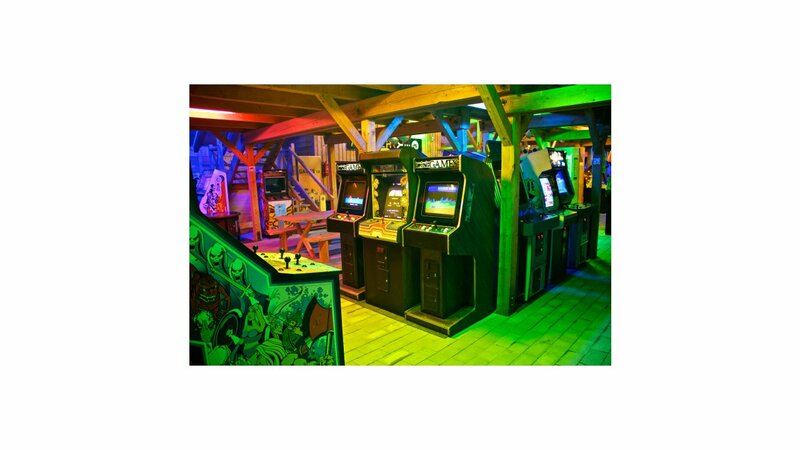 The arcade includes classics like Space Invader, Galaga, Street Fighter, and Mortal Kombat. However, there are plenty of games that are very atypical from your normal arcade experience. From the more bizarre additions I noticed, there are games such as Primal Rage, a fighting video game that is a lot like Mortal Kombat, but with dinosaurs. There is an analog version of Pong. 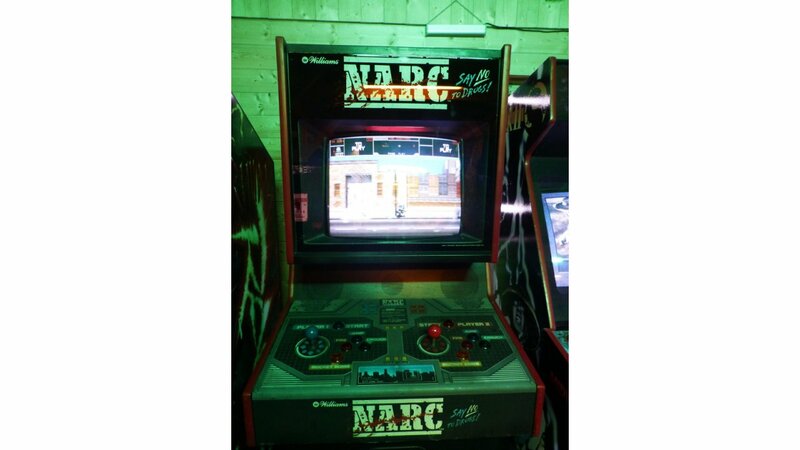 However, the strangest game we played was one called N.A.R.C,—it’s an action side-scroller that is a holdover from mid-80’s Reagan-era America. In this game, you play as a narcotics officer cleansing the streets from the evil minions of the “K.R.A.K” crime organization, who oppose you by throwing needles and other paraphernalia at you. It ranks as one of the most fun (and unintentionally hilarious) video games I have ever played. Leave your quarters (or 5 CZK coins) behind. 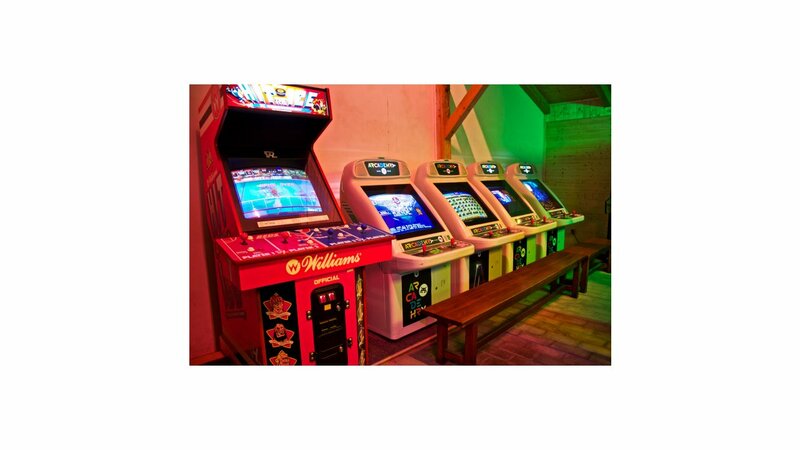 All of the games in the Arcade Museum work automatically—you only need to pay a relatively small fee at the entrance (150 CZK for an all-day pass as an Adult; 80 CZK for children), and you can play as many of the machines as many times as you want. In order to fully enjoy the arcade, Jan tells me you need, “at least four to five hours.” In my experience, this is entirely accurate. There is also food for sale, and of course, fresh beer on tap. 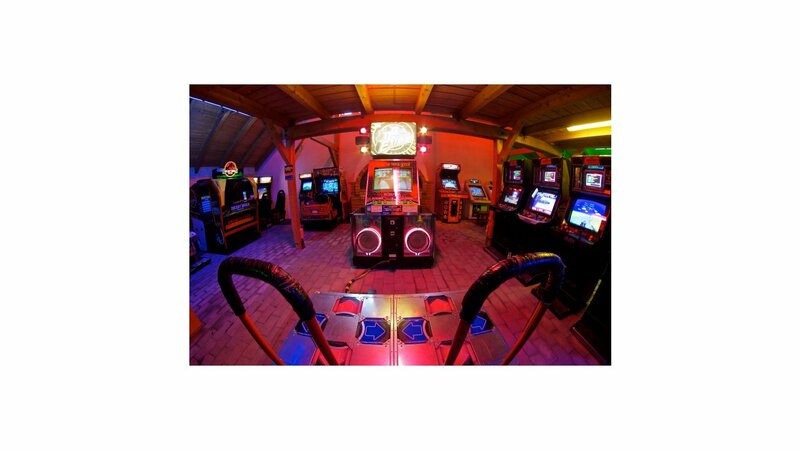 Some more contemporary arcade games include Dance Dance Revolution (DDR), the interactive dancing video game, along with other games. Jan tells me that they recently acquired several multi-player hunting games, along with a Japanese video game called Crazy Climber, which he tells me is, “a very rare piece. One complaint: The arcade is incredibly difficult to find and could definitely benefit from more signage along the way. The journey takes a fairly long time. First, you have to travel to the end of the B line to Zličín station, and then take the #307 bus to the Červený Újezd stop, which unfortunately only runs once or twice an hour. If you make the trip out there, definitely prepare in advance (check bus times at www.dpp.cz). Fortunately, in the future, Jan plans to move his operation to Prague. “We aren’t there yet, but maybe soon we will be closer to the center,” he tells me. Originally from Miami, Florida, William has lived in Prague for the past year after graduating Wesleyan University, and has been thoroughly enjoying life as an expat. An aspiring writer in his spare time, he currently works as an editor at a local social media company.